Oh, looks gorgeous, Tracey! Beautiful die cut heart and lovely color and shine! Looking forward to checking out the video! 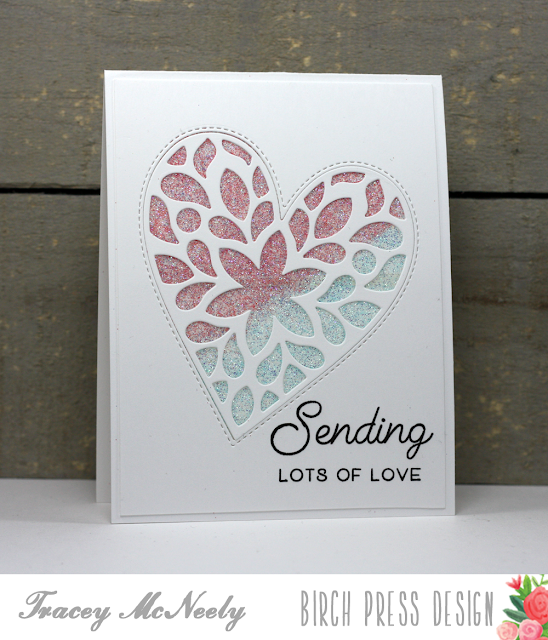 Stunning heart...love those beautiful colors, gorgeous card, just love all the sparkle. Gosh this is pretty Tracey and what marvelous glitter colors! Positively stunning Tracey, a fantastic card, indeed!